Who Does the American Express Business Gold Card Appeal to Most? 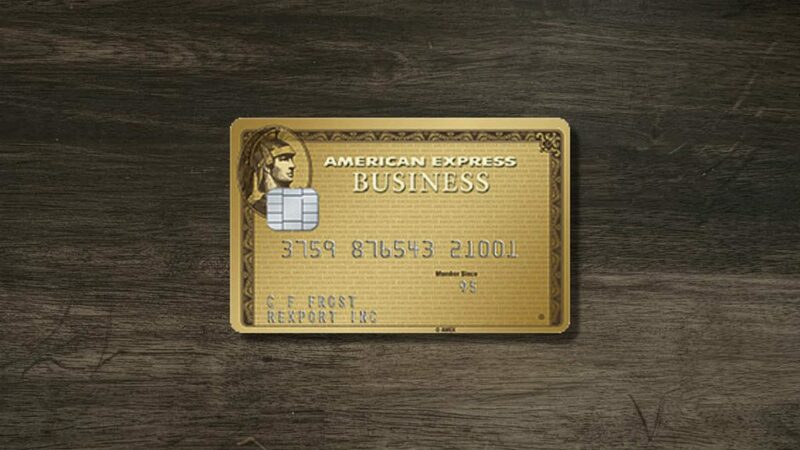 Decision Time: Is the Amex Business Gold Card Card Right for You? There are so many different options for business credit cards on the market now. If your business is in need of a good everyday type of credit card, then you will have a lot to consider. You can try to find a credit card that will offer you various beneficial perks while also giving you good rewards potential. It is simply important to try to find a card that matches up with the categories that your business spends money on frequently. 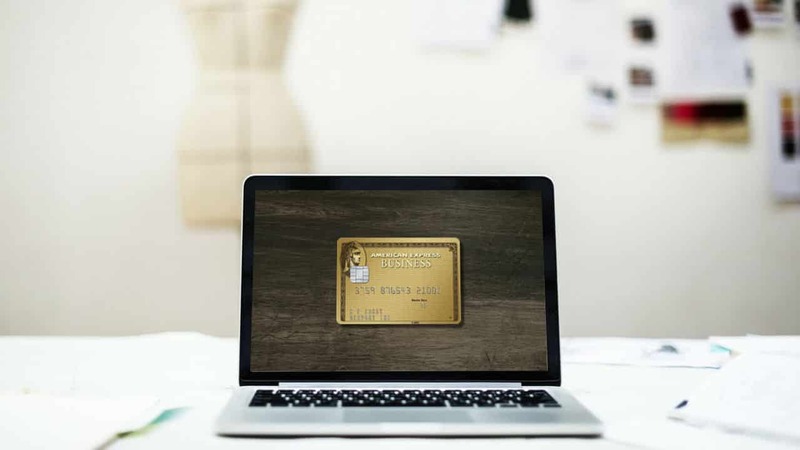 One option that has been increasing in popularity since its 2018 launch is the American Express Business Gold Card. 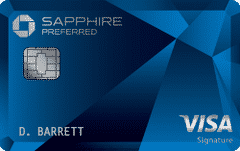 This is a credit card that gives cardholders access to a robust rewards system. It even has some flexibility that many other similar business credit cards do not. It has proven to be a useful credit card for many businesses so far, but is it the right one for yours? Join us as we take an in-depth look at what the American Express Business Gold Card has to offer. This will give you all of the necessary information to decide if it is worth your time. We will examine the rewards program from every angle while also telling you about the fees that you should expect to pay. You will know beyond a shadow of a doubt whether this credit card is good for your business or if it is just another one that you should ignore. You'll earn 35,000 Membership Rewards after spending $5000 in the first 3 months. Get 25% points back after you redeem points for an eligible flight booked through Amex Travel. 1 year free subscriptions to G Suite Basic for up to 3 users and Zip Recruiter Standard. Pay over time on purchases of $100 or more. Access expense management tools like Quickbooks and SpendManagerSM. Additional employee cards at no cost. If your business spends a lot of money and takes advantage of the included tools, this card can pay off big. Especially if you use your points to book flights on Amex Travel. Also, the introductory offer is substantial. One thing that you need to be aware of right away is that this credit card comes with an annual fee. It has an annual fee of $295.00. This might seem quite high to you, but it is not too bad when you factor in the rewards potential of the card. Even so, you will need to make good use of this card to make up for the fee. If you would prefer a credit card that has no annual fee, then you should know that there are business credit card options that will be more suitable for you. The American Express Business Gold Card has no foreign transaction fees, though. This is a huge benefit for any business that needs to travel outside of the country semi-regularly. If you use the credit card to help pay for travel expenses, then you will be able to use it while abroad without having to worry about fees. Whenever you are able to keep foreign transaction fees at bay, it is going to be considered a good thing. The late payment fee for this credit card is set at $38.00 or 2.99%. You will be charged whichever winds up being greater. The returned payment fee is also set at $38.00. This is pretty standard and should not impact your decision to sign up for the credit card one way or the other. Overall, the fees associated with this credit card are not too bad. It has an APR that falls within normal ranges and you should not have a tough time making use of this card once you have it. If you have been looking for a card that will be easy to use for everyday business expenses, then this may fit the bill. Some of that will depend on the bonus categories that you select for your rewards program, though. We will be discussing the rewards program for this credit card in detail later on. One interesting thing to note about this credit card is that it does not offer a very traditional welcome bonus. Instead of being granted an opportunity to earn rewards points, this credit card comes with one year of free access to ZipRecruiter standard and G Suite basic. This is good for up to three users and is said to have a value of over $3,000.00. If you can make use of these programs effectively, then it may be an offer that is even more enticing than rewards points. One nifty perk that business owners will love about this credit card is that it does not have a charge limit. This means that you can make large purchases with this card without it being a big deal. All purchases are approved on an individual basis and there is no set credit limit. You do not have to worry about maxing out the credit card and having any negative repercussions. It makes spending the money that you need to spend on your business as easy as it can be. You can also get a bunch of employee cards if you need them. There is an option to choose to pay $50.00 per year to have up to 99 employee cards created. The fee is even waived for the first year, making this an even more convenient benefit. 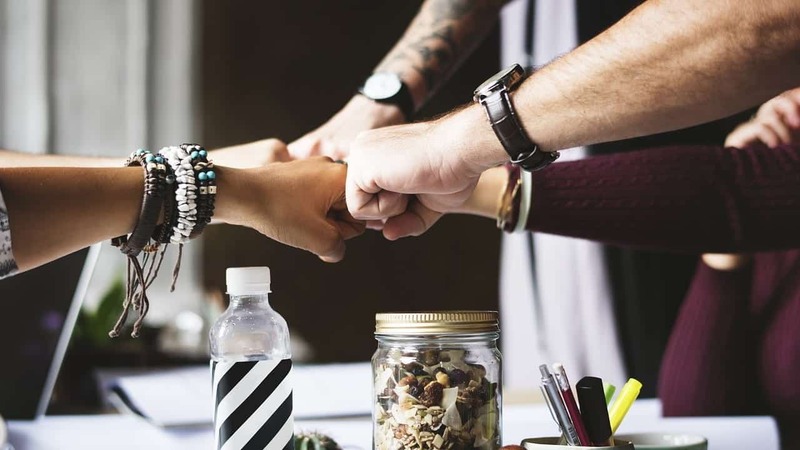 When you need to empower certain employees to make purchases for your business, this is a perk that is going to come in handy. It is also possible to get some help with paying down your credit card debt, too. If you purchase a costly item and need to pay this over time, then you can have it designated as a “pay over time” item. This will set it up so that you can continue to pay on these items over time at a certain APR. There is a limit to how much you can charge on the card while still having items set as “pay over time” items. Once you reach this cap, every item charged to the credit card will be classified as a “pay in full” item. The items that you designate as “pay in full” items will accrue no interest due to you paying off the balance every single month. Purchases on the card that are less than $100.00 are automatically designated as “pay in full” items. Unless you specifically designate an item as “pay over time,” all of your purchases are going to be considered “pay in full” items. It is not really that complicated to understand, but it is something that you should know about the credit card before moving forward. Of course, the rewards program is a very important part of this credit card. You are going to be able to earn 4X rewards points on your top two spending categories every month. There are some categories that allow you to choose your bonus categories out of a list. You actually do not even need to do that here, as the spending totals are simply calculated for you. If you spend the most money on US restaurants in one month, then that will be one of your 4X bonus categories. Next month you may not spend that much on restaurant purchases, so your 4X bonus categories will change. It fluctuates with your spending habits to always give you 4X bonus points on the categories that are going to help you to profit the most. It is a pretty intuitive system that allows you to simply spend money as normal while earning rewards. There are six eligible categories that you can spend money in that will work for the 4X bonus points. These categories are US restaurants, US gas stations, US shipping purchases, US technology provider purchases, US advertising purchases, and airfare purchased directly from airlines. All of these categories are fairly common spending categories for many large businesses. If your business does not spend a lot of money in any of those categories, then it is not likely that this credit card is the one for you. All other purchases outside of these categories will be earning you rewards points at a 1X rate. This is not fantastic, but it is better than earning no rewards. Also, you need to keep in mind that you will only be earning he 4X rewards on your top two categories each month. This means that you will only be earning the 1X rate on the remaining four bonus categories. There is a spending cap that you need to be aware of, too. Once you spend $150,000, you will no longer be earning the bonus points. If you do manage to reach the cap, then you will be earning a hefty sum of bonus points. Businesses that spend enough money can turn this credit card into a very lucrative one, so it will just depend on how much money you spend per year on things for your business. Redeeming your earned rewards is very simple and intuitive. All of the rewards points that you earn are fully transferable over to the 21 American Express partner programs. This means that you can redeem rewards points for things, such as flights and hotels, very easily. It allows businesses to mitigate any travel expenses with ease. It is also possible to use your points really intelligently to increase their value. If you book your flight through Amex Travel with your earned points, then you can receive 25% of your points back. This makes your points exceptionally valuable and you will be able to use this to make travel expenses less of a burden. It is perfect for businesses that have to travel a lot, so it may or may not fit in well with your needs. The lack of foreign transaction fees is particularly nice with this credit card. 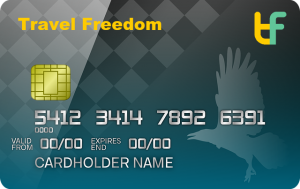 Being that the best way to use your earned rewards points is to travel, it makes sense that this card would not penalize people for using the card while abroad. This should make it easier to get out of the country on business without having to worry about being charged fees for using the company credit card. No foreign transaction fees certainly help the appeal of this card with certain people. The flexibility of the rewards program is also quite nice. It offers you the ability to earn bonus points in several different categories. Out of the six available bonus categories, you will automatically receive 4X points on your top two most-used categories. This makes it easy to profit without having to take the time to micromanage everything. This card is so easy to use that it is astounding. Many comparable rewards credit cards for businesses make things a lot more difficult. This is always going to feel like a streamlined experience. You do not have to do too much to profit from using this credit card, so long as you spend enough money to justify signing up. The annual fee is not overly high, but it is something that will annoy smaller businesses. Many comparable credit cards have annual fees that are much lower than this. Some credit cards in the same tier even avoid annual fees altogether. If you are the type of person who gets annoyed by annual fees, then this card may not be the right one for your business. Also, the welcome bonus may not be useful to every business out there. Getting access to software programs for a year can be very useful for some people. For many businesses, this software is not going to be necessary. It means that the welcome bonus is only really going to be helpful to a certain percentage of businesses that are looking into this credit card. You need to know that this credit card really works best for large businesses, too. If you are a smaller business, then you may not spend enough money to justify this credit card. There are other business credit cards that may meet your needs better. This card does have great potential when it comes to helping you earn rewards, but a lot of that depends on your spending habits. You have to spend the right amount of money per year for the math to make this credit card seem worthwhile when compared to other options. You are going to need to have a pretty good credit score just to qualify for this credit card. The recommended credit score is 690 or higher. This means that those who have excellent credit should be able to get this credit card easily. If you are concerned about whether your credit score meets the requirements, then you should take the time to check your score before applying, just to be on the safe side. This credit card has the potential to appeal to several demographics. The simple fact that the rewards program allows you to make your own choices in some areas makes it a bit more attractive for some businesses. You will be able to use bonus categories and these are going to appeal to several different types of businesses. Whether you are running some type of office or if you operate a hardware store, this credit card may prove to be beneficial. It should be said that this credit card does tend to appeal more to larger established businesses. Small businesses will certainly be able to make use of the credit card, but businesses that are large enough to have their own buildings will likely make better use of the card. Businesses such as this are more likely to be able to benefit from the rewards program through more frequent spending. Very small businesses may not be able to justify that annual fee quite so easily. 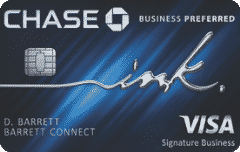 The Ink Business Cash credit card from Chase is a very good alternative option to consider. It offers you a good rewards program that does not have rewards categories that will change on you. For some people, a more predictable rewards program such as this is going to be the superior option. This card also has no annual fee, so it makes it a lot simpler to decide to sign up for it. See our full review of the Chase Ink Business Cash. Another good reason to consider the Ink Business Cash credit card is that it has a good introductory APR for both purchases and balance transfers. This adds a bit of utility to the credit card and might give it a clear edge in some people's eyes. Whether this is the better option or not will come down to your personal preference. Either way, this is a good credit card that deserves some attention and you may want to consider signing up for it. Any types of larger companies that want a card that is easy to use will be happy with this option. The American Express Business Gold Card does have a lot to offer businesses. There are some credit cards on the market that offer higher rewards potential for businesses, but many of them are much more complicated. This is a credit card that manages to offer some flexibility while still keeping things simple. Whether or not this credit card will be right for your business comes down to how you are going to use it. Is your business large enough to take advantage of this credit card properly? Does the annual fee scare you off or make you pause? 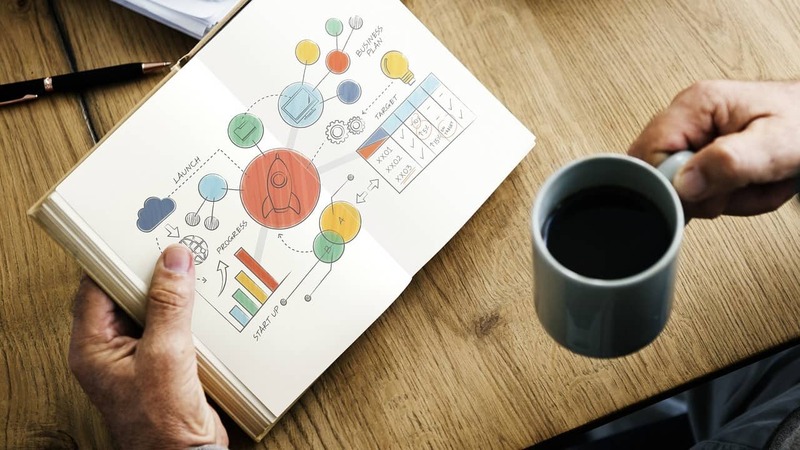 If you can answer these questions honestly, then you should be able to make a simple decision about whether or not this credit card will work out for your business. If your business spends a lot of money, then it is possible that the American Express Business Gold Card may be the credit card that you have been waiting for. It will work for you very easily and can help to make your rewards experience as good as possible. If you can hit those 4X bonus categories enough, then this is a very good card to have in your wallet. Take a look at the details for this credit card and then weigh them against the needs of your business before making your final decision.